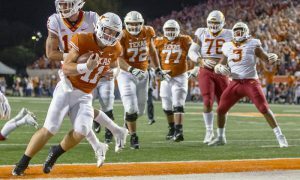 Season series (Texas Tech 2-0): Texas Tech def. 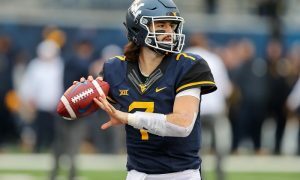 West Virginia, 62-59, in Morgantown, W.V., on Jan. 2; Texas Tech def. West Virginia, 81-50, in Lubbock, Texas, on Feb. 4. Winner gets: a Friday semifinal game against either Kansas or Texas. Texas Tech: G Jarrett Culver, G Davide Moretti, G Matt Mooney, F Tariq Owens, F Norense Odiase. West Virginia: Haley. The junior has been breaking out at just the right time for the Mountaineers. 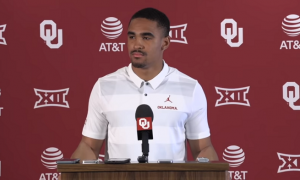 Coming off his career-high game against Iowa State last week, Haley ended up with a double-double against Oklahoma in the Mountaineers’ 72-71 win over Oklahoma in the first round. Haley scored 14 points, grabbed 12 rebounds and even dished out 4 assists in the contest. Haley’s game has shown great growth in the final month of the regular season and it’s paying off in Kansas City. Texas Tech: Moretti. Yes, Culver is the straw that stirs the drink but Moretti is becoming a real problem for opposing defenses. Moretti has hit double-figures in each of his last six games, and 11 of his last 12. More importantly, he’s the player that keeps defenses from double-teaming Culver. 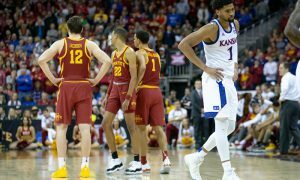 In Big 12 action Moretti was the best 3-point shooter in the league, making 53.5 percent of his shots and edging into the Top 10 in the Big 12 in scoring with 13.2 ppg. Moretti’s shooting gives the Red Raiders the ability to drive in, kick out to the perimeter and drive defenses nuts trying to defend both. 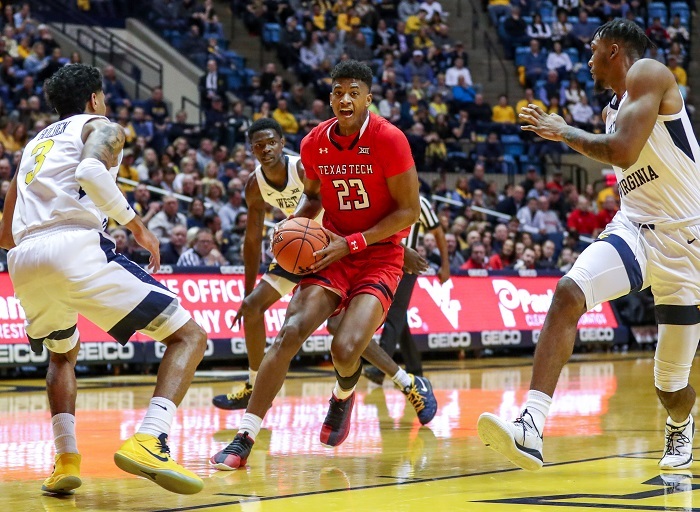 West Virginia: The Mountaineers entered the tournament having won two of their final four regular-season games and now enter their game with Texas Tech having won three of their last five. The Mountaineers aren’t headed for the postseason, so the tournament is all about building momentum for next year. With a starting lineup set to return next season, along with a McDonald’s All-America recruit coming into the fold, the future is starting to turn around in Morgantown. 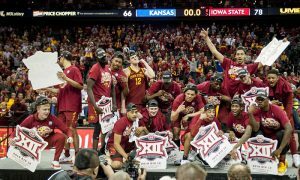 Texas Tech: No Big 12 team is hotter going into Kansas City than the Red Raiders, who enter the tournament with nine straight victories after claiming the league co-championship with Kansas State. 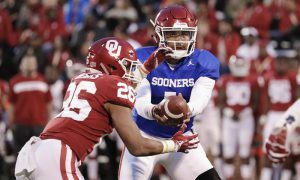 The Red Raiders are built around their ability to play incredible team-based man-to-man defense that stifles opponents and forces them into bad shots and turnovers. When the defense is humming the offense benefits, as it creates transition baskets and additional turnovers. The Red Raiders’ offense was built around Culver in January. But now, with the emergence of Moretti, Mooney and Owens, the Red Raiders are so much harder to defend now. West Virginia: The Mountaineers had 46 rebounds against Oklahoma, winning that battle by 10 rebounds. 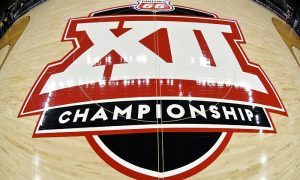 Texas Tech: The Red Raiders had the best scoring margin in Big 12 play at plus-9.3 points per game, a full three points better than Kansas State. Who wins? : Texas Tech. Look, the way the Mountaineers have played the last few weeks is a great story. 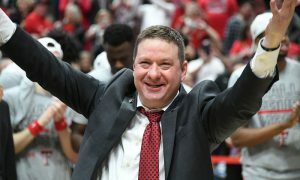 But the fact is the Red Raiders are the hottest team coming into the Big 12 Tournament and beat the Mountaineers by nearly 30 points in Lubbock. I suspect this game will be closer because it’s on a neutral site and the Mountaineers are playing better. But at the final buzzer Texas Tech will be moving on to the semifinals. Bank on it.